So far sgbronze has created 2 blog entries. Bronze Tile Finish Options – Which One is Right for You? Which Bronze Finish is Right for You? Oil Rubbed Bronze is quickly becoming one of the most popular finishes on the market. The clean modern look of Oil Rubbed Bronze brings this timeless metal into the new age. The dark, sumptuous Oil Rubbed finish adds a subtle and alluring quality to the elegant bronze designs while near universal color matching allows Oil Rubbed bronze to be used in nearly any project. If you are looking to add the enduring beauty and durability of bronze to your home Oil Rubbed may be the perfect finish for you. Achieving the Oil Rubbed finish is a multi-step process. After the raw bronze is hand poured and cooled in a specialized foundry it is carefully checked for imperfections. Only the best quality pieces make it into the Saint-Gaudens product line. Once the perfect pieces are selected they undergo a bronze-specific chemical bath to darken the outermost layer of metal (imparting that deep chocolate brown color). The pieces are then removed from the chemical bath and thoroughly washed to end the darkening process. Once dried, each piece is polished by hand to bring out the signature subtle bright highlights. Oil rubbed bronze tile by Saint-Gaudens are truly something to behold. The finish that started it all. Classic Bronze is still the most popular choice for bronze tiles, bronze liners, and bronze trim. The beauty of the Classic finish is matched only by its agelessness. If timeless elegance is what you’re after Classic Bronze finish may be for you. Like the Oil Rubbed finish the Classic Bronze finish is a multi-step process. Raw bronze undergoes a bronze-specific chemical bath to darken the entire piece. Unlike the Oil-Rubbed finish however the polishing process for the Classic finish is quite extensive. Once dry, each Classic finish piece undergoes up to 3 separate rounds of polishing. 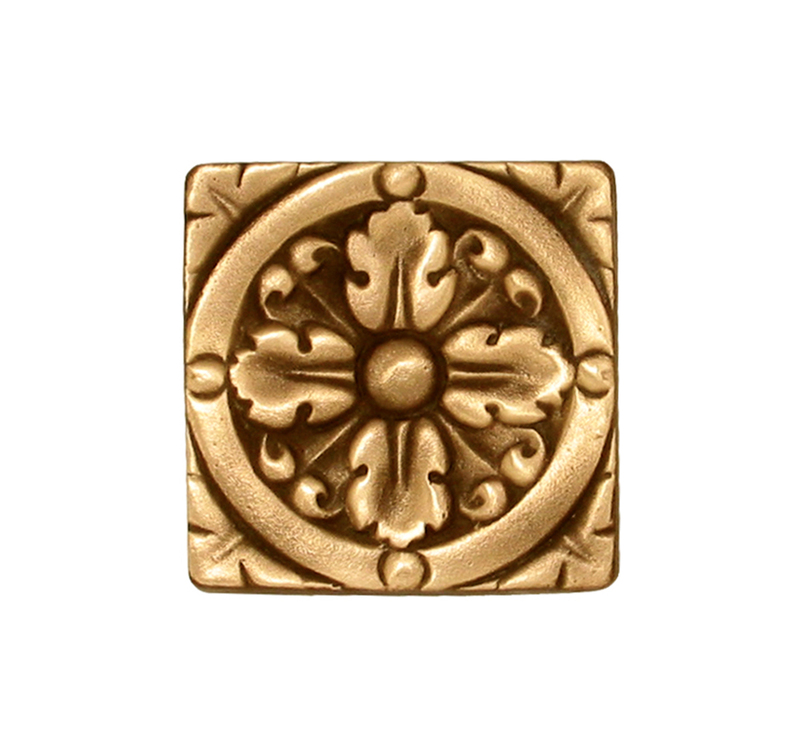 The bronze expertise gained over the years by Saint-Gaudens employees allows us to approach each tile, liner or trim individually and apply only the most appropriate finishing techniques for your order. 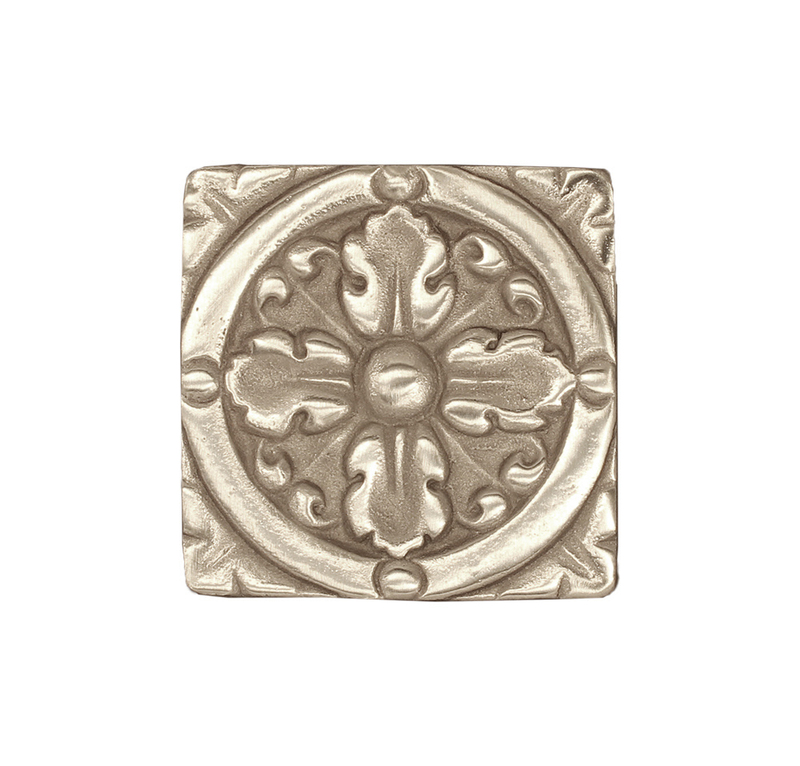 No matter which tile you decide on the Classic finish will bring out the true beauty of your bronze. The Silvertone finish adds a whole new realm of possibility for lovers of bronze! Silvertone bronze offers the same undisputed durability and beauty of Classic bronze in a sleek silver color. Additionally, all Silvertone bronze products are nearly impervious to natural aging due to the metallurgy so will look new years after you order them! The Silvertone finish brings all new design possibility to those looking for solid metal accents for their home. Silvertone bronze is nearly identical in the finishing process to Classic bronze. The real difference in the two options is the metal itself. Silvertone bronze is made with the metal Nickle to give it a beautiful shiny silver luster (As opposed to Silicon in Classic bronze). Nickle Bronze as it’s often referred to is nearly identical to Classic bronze with the notable exception that it does not naturally patina with age the way that Classic bronze does (see the FAQ page for information on natural aging and how to easily refinish Classic Bronze). While most of our customers find the natural patina of Classic bronze quite pleasing those that want their bronze to look brand new for years often choose Silvertone as their finish of choice. Do you want your accents to really “POP”? The Bronze Bright or Silver Bright finishes may be just what you’re looking for! Bright finishes are perfect for those people who want bronze tiles or liners that create immediate and noticeable aesthetic impact. After all, sometimes it’s the finishing touches that really complete a space. Bronze Bright and Silver Bright undergo the same rigorous finishing process as their darkened siblings but without the chemical bath. Taking raw Classic or Silvertone bronze through the polishing process without first chemically darkening them allows us to achieve a remarkably lustrous finish. Each piece is hand-polished until it shines and then sealed to preserve that beautiful sparkle. Why Choose Solid Bronze Tiles? 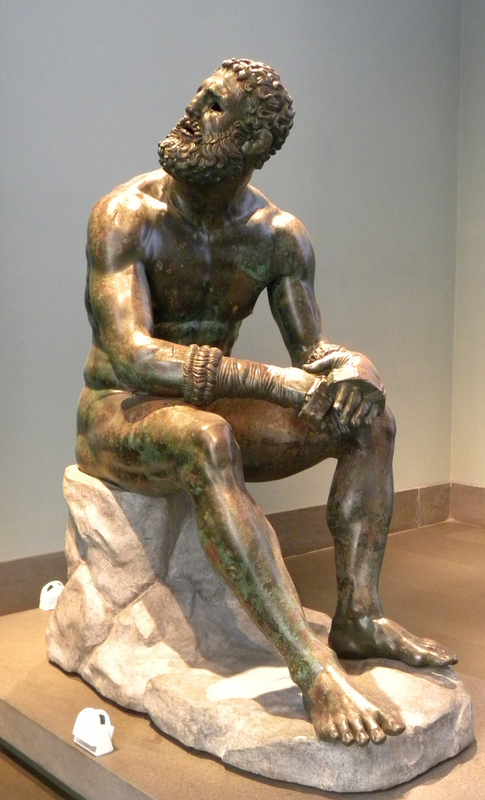 The durability of solid bronze can still be seen in ancient works. This post was taken from our bronze tile FAQ page. Click the link for more info. Thanks! There are a lot of metallic-looking tiles on the market. While they may look the same at first glance, the differences are like night and day. Solid Bronze – Saint-Gaudens Metal Arts Bronze tiles are cast in a foundry from molten bronze. They are bronze through and through. Like 3,000 year-old sculptures, they are eternal. You can tell solid bronze by how heavy it feels in your hand. They are hand painted and polished. 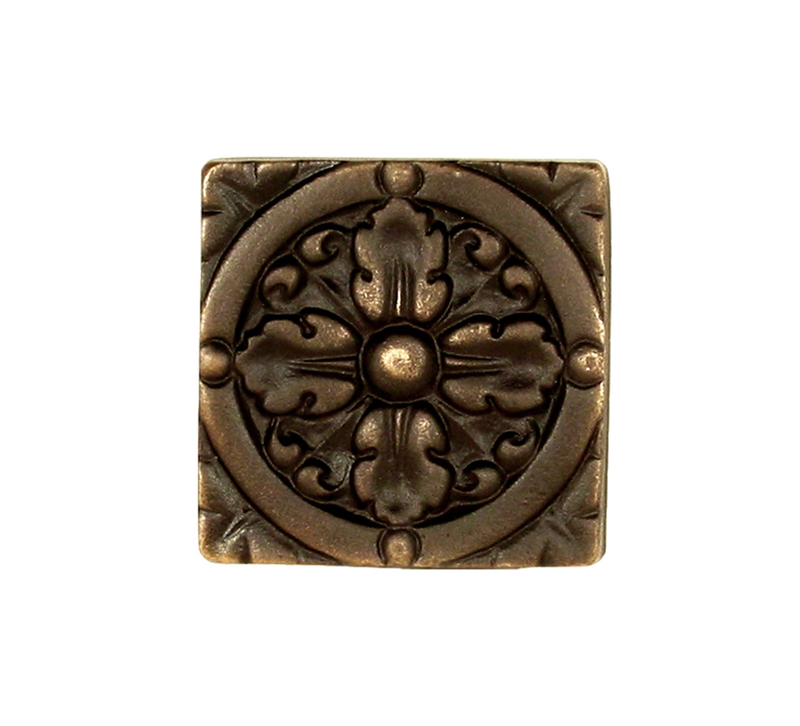 Bronze has no installation limitations – tiles can be walked-on, placed near hot stoves or fireplaces, used outdoors, used in showers or around pools, or even endure a hurricane (this happened to a customer in Florida – they were pulled out of the rubble and re-used); and they will always look good. Solid Metal – other metals – Other metals and alloys are used to cast solid metal tiles. Among them are aluminum and pewter. Aluminum is very corrosive when exposed to moisture, and will develop a powdery white coating. While being flexible, aluminum is also soft and can not be used in the wide range of applications bronze can. Pewter is a soft metal, easy to cast and finish cheaply, but unlike bronze is not advisable for use in floors or any other surface where it will be touched frequently. Of the countless alloys and other metals used in tile very few, if any, will stand the test of time like bronze. Plated Metal – A tile can be marketed as solid metal when it is actually a base (cheaper) metal with plating on top. This is the most common solid metal tile on the market. Base metal, commonly known as “Pot Metal,” is soft, like lead, and cheaper to cast and finish. They are plated with very thin layers of nickel, copper, brass, etc, and are usually coated with a shiny sealer. The problem with these tiles is that they can bend and break very easily. When bent, the plating cracks and peels off. If cleaned with an abrasive cleaner, the thin plating wears off. For this reason, they can’t be used in the floor. 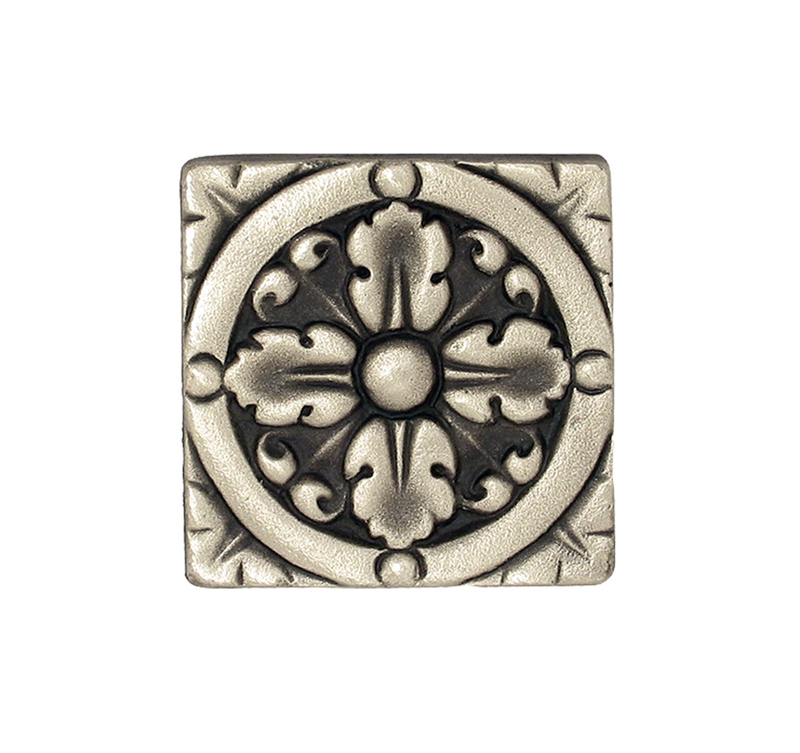 You can tell plated metal tile by its lighter weight, and shiny, costume-jewelry like finish. A note about copper: Copper isn’t castable, so you will never see cast solid copper tiles. A copper color can only be obtained by: plating over pot metal; mixing it with resin (see below); or wrapping thin sheets of copper over a rigid base form. Metal Coated Tiles – A tile design is molded and cast in plastic. They are then spray-painted with a mixture of resin and powdered metals. Several metal colors are obtainable using this method. Because the sprayed-on coating is very thick compared to plating, detail in these tiles is often lost. Because these are only coated, finishes can peel off and tiles can warp near heat. Metalized Resin – This is a proprietary method of pouring resin mixed with powdered metal into a mold. The resulting tile is resin-based throughout. They are lightweight, and can warp around high BTU cook tops or fireplaces. Ceramic Metal Glazes – Regular ceramic tiles are fired with glazes that look like metal but have no real metal in them. Along with all ceramic tile chipping is the most common problem, along with abrasion if walked on, and loss of finish. This post was taken from our FAQ page. Click the link for more info. Thanks! vsgmetalarts.com is the new home for sgbronzetile.com!